A drought, searing heat, and a house sitter who really did not embrace the concept of “Please water every day” will combine to show you which herbs in your garden are tough warriors, and which simply cannot keep up the fight. Bye bye, lavender, it’s been a good two years. Godspeed, mint. Et tu, oregano? But basil fights on like the weed that it probably is, especially the Thai variety. It’s a bit odd, this, because once basil gets picked, it’s among the most delicate divas in the fridge, fading soon without all sorts of care and handling with damp towels, the botanical equivalent of Van Halen’s M&M rider. Okay so Bankokamole has some recognizable elements, like the avocados, cilantro and lime. But then it gets a little off the hook with some fish sauce and ginger, a whole new Southeast Asia thing happening right there in your bowl. First you mix up your lime, zest and fish sauce. If you’re not in the microplane mood, go ahead and chop that ginger and garlic super fine. Next comes the avocado. From here you need to start adjusting to taste, both in terms of salt and acidity, and once your herbs are chopped and added, the chile. Now, you have a little time to get showered and dressed for dinner, go outside and water the rest of your plants or write some starchy email to your boss about the sorts of things you will or will not accomplish during the month of August. Or just wait. The flavors need a bit of time to marry. About 20 minutes later, it’s chips and a beer (or nice cold lemonade) time, hopefully on the deck, if it’s not too damn hot, or buggy. Lord fall, please come. The only thing I must note is the yield here is not huge. My Texan husband, who does not weigh in on much in the kitchen, did offer, “Well of course you need like five avocados for guacamole.” We took this as an appetizer to a dinner for five and it was just enough. If you’ve got more mouths, please double. Yes, please w/Red Stripes. Awesome profile pic, hardlikearmour! excellent choice of beer for this. This sounds wonderful... just wondering where the "G" in Bangkok went, though. LOL. Just got lost with my inept world geographic spelling! :-) No matter, this is definitely on my list to make this weekend! Yay! Thanks for spotlighting my recipe & my alligator cake (made for my friends' annual crawfish boil). If you haven't already done it, a thai basil infused simple syrup would be a great way to use up some of your abundance. i made a pesto and that was that. but more is coming back. i love basil ss. We're always trying new ways to enjoy avocados, since we grow them on our family farm. 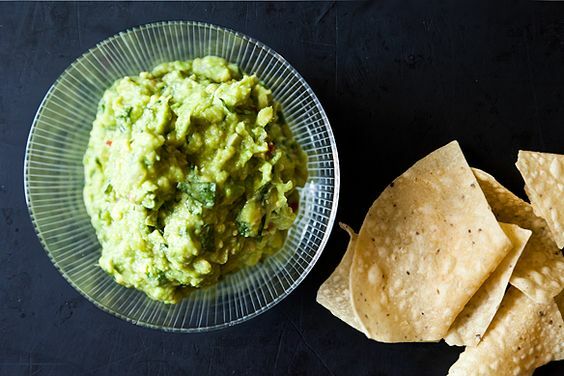 We love Thai food too, so we'll defiinitely put this guacamole on our "must try" list! I was wondering if it was a cake or a real reptile! This bankokamole looks really good. it is both! have a nice day! Love the guac - and that profile picture - did you know that is a CAKE and that Hardlikearmour BAKED IT? She is a cake magician and artist. Amazing.